A picture is not necessarily worth a thousand words, but it is worth a thousand memories! I love to look through old photographs. As I look at the pictures, memories comes rushing at me. I start to giggle or down right laugh out loud. I can get sad but rarely do I cry, even of those who have passed on and went to heaven. I guess I always try to see the positives. It doesn't always happen, but I do try. 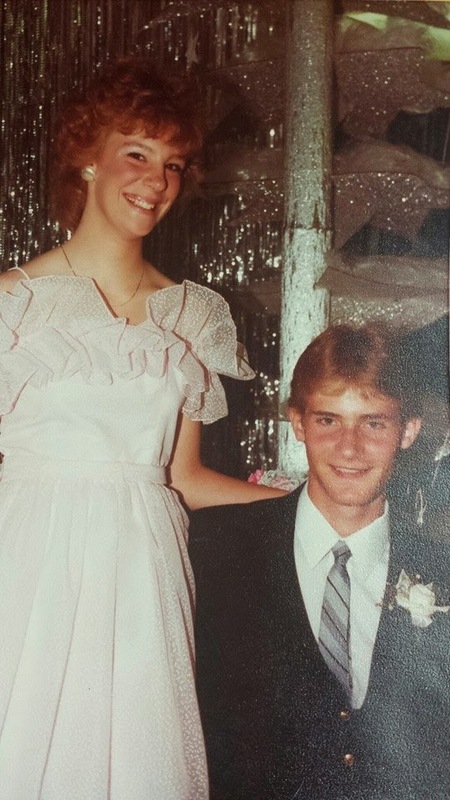 Here is me and my bad self as a freshman in high school at the Jr/Sr Prom. My date was the ever handsome, captain of the basketball team, David. I was a cheerleader (only my freshman year). I look at this picture and remember almost everything that happened my freshman year: meeting David, dating as much as my parents allowed (mostly snuck around but I am sure the parents knew), freshman hazing (I hated walking the couple of miles outside of town I was dropped off), prom, the break up. Ah the memories. I may need to write about some of them. Go back and revisit some of the good and not so good times and try to figure out a lesson (remember, I am always looking for a positive). Pictures really do bring up memories, and most of them I want to revisit! Be prepared!